Abdulrahman Abdulrazak, has been adjourned. 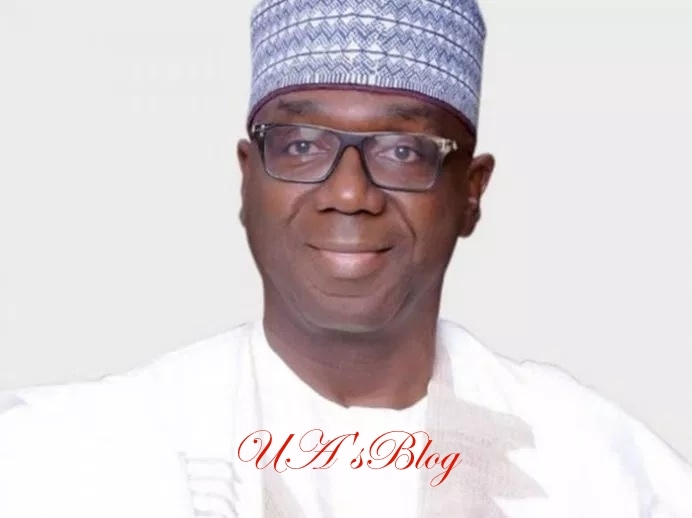 A Kwara State High Court presided by Justice Adenike Akinpelu has adjourned till May 14 the case instituted against Kwara State governor-elect, Abdulrahman Abdulrazak, concerning the authenticity of his West African Examination Council certificate, Punch Metro reports. The adjournment was to effect service on the defendant, the court ruled. The suit with number KWS /73/2019 was instituted against the governor-elect by one Adekunle Oluwafemi Abraham. a member of the Peoples Democratic Party (PDP) in Apado ward in Ilorin East local government area of Kwara state. The claimant in his statement on oath said that ” while examining the personal particulars of the defendant, he was curious about the purported West African Examination Council (WAEC) school certificate No. SC180683 purportedly dated June, 1976 of the defendant particularly, the way the defendant’s name is written as” RASAQ A R” which from my personal experience, the West African Examination Council( WAEC) as a standard examination body in West Africa do not normally abbreviate names on the school certificates issued by it. ” That the way and manner the defendant’s name appears on his purported West African Examination Council ( WAEC) school certificate No. SC180683 dated June, 1976 raised my suspicion that the said West African Examination Council( WAEC) No. SC180683 dated June, 1976 could not have been issued by West African Examination Council (WAEC) and I reported my suspicion to my political party, Peoples Democratic Party( PDP) which promised to look into my complaint of my suspicion . The claimant in his statement of claim contended that “the West African Examination Council (WAEC) School Certificate No. SC180683 allegedly issued to the defendant by West African Examination Council (WAEC) in June 1976 and submitted to Independent National Electoral Commission (INEC) is a false document. The claimant shall apply to this Honourable court to issue subpoena on West African Examination Council (WAEC) to produce the original of the said certificate”. He further contended that the documents submitted by Abdulrazaq as his educational qualification was not issued by WAEC and thus, the defendant is not qualified to contest for the office of Governor of Kwara State whose election will hold on Saturday. Abraham further urged the court to declare that the APC candidate lied on oath, submitted forged documents and stand disqualified from contesting the gubernatorial elections. The plaintiff, who attached to the process filed before the court the forms and attached documents submitted to INEC by the APC gubernatorial candidate. When the case came up for hearing yesterday, Counsel to the Plaintiff, Mr Abdulrazak Gold informed the court that Alhaji Abdulrahman Abdulrazak Who is the Kwara state governor-elect and who is the defendant in the suit could not be traced by the Court bailiffs to be served with the documents of the suit in his known addresses. The counsel while praying the court to grant the plaintiff an adjournment said that Abdulrazak could not yet be served with the notice of the suit by the bailiffs up till yesterday morning. In his ruling, Justice Akinpelu adjourned the suit till Tuesday, May 14,2019 to allow the plaintiff to serve the governor-elect with the court notice on suit.